Rav Jeff Schrager A native of Rochester, NY, and recent Oleh to Israel with his family. After studying in Yeshivat Hamivtar and Yeshiva University, “Rav Jeff” moved with his wife Naomi to Dallas for a two year stay before making Aliyah. Ten years later, they actually made it! During that time, he has taught at the Akiba Academy of Dallas, TX, focusing on teaching Tanakh, and Navi in particular, and also served as the Middle School Judaic Studies Coordinator. Also during his time in Dallas, Rav Jeff developed the L’dor Vador Curriculum combining family history research with learning about Jewish History and identity. He has written several articles about Jewish Education and Jewish Genealogy, published in a variety of publications. He and his wife Naomi now live in Ramat Beit Shemesh with their four wonderful children. Naomi Schrager Before making aliyah, Naomi spent most of her life in Texas. After highschool she spent a year learning in Israel and then studied philosophy and Jewish studies at Yeshiva University. She learned in a graduate Talmud program at YU. Naomi has always been very involved in youth groups and she met her husband working in NCSY. She has taught middle school, high school and adult classes. She has four children and just made aliyah this summer to Ramat Beit Shemesh. 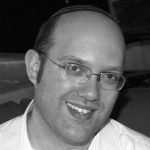 Rav Ari Silbermann Since making Aliyah from Australia in 2005 Rav Ari has spent almost 10 years studying at various yeshivot, including Yeshivat Hakotel, where he combined active combat service in the IDF with religious studies. 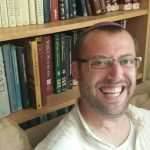 He has completed most of the exams towards rabbinic ordination from the Chief Rabbinate of Israel, has a diploma of education from Herzog teachers college, and an M.A in Bible from Bar-Ilan University, where his thesis dealt with the Dead Sea Scrolls and rabbinic notions of exegesis. He is currently writing his PhD in Bible as a doctoral fellow for the Minverva research centre. 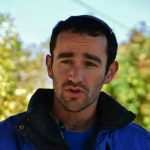 He resides with his wife, Laura and three children in Gush Etzion. Susan Yammer Susan a pedagogic mentor for graduate education students in the Pardes Educators Program. In this capacity she also serves as the supervising mentor for the teaching internship at Young Judea Year Course where she also teaches herself. 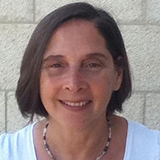 In addition, Susan works as an educational coordinator for the Lookstein Center at Bar-Ilan University. Before making aliyah in 2007, she worked for more than 30 years as a classroom teacher, educational director and teaching mentor in Jewish Day Schools, afternoon Hebrew schools and summer camps in the United States. She has a Master’s degree in Jewish Education and is a recipient of the Grinspoon-Steinhardt Award for Excellence in Jewish Education. Eytan Rand Eytan grew up in Jerusalem. Playing guitar on cliff-edges throughout high school, connecting both to the land and spirituality. After the army service as a paratrooper, he continued to collage and studied education, and drama. Pursuing his dream of being an educator, he studied to be become a tour guide. For the past 7 years, Eytan has been working as a tour guide for several programs on a regular basis, added on to the 9 tour companies he works with. He specializes in biblical history, Israel’s war and battle history, and contemporary geopolitics. But more then all those, he specializes in making the tour an emotional and exciting experience. Nili B’Simcha Nili is an ever-smiling, Torah-loving, drum-playing, niggun¬-singing, teacher of Jewish studies. Nili’s spiritual journey was inspired at her first visit to Shlomo Carlebach’s Moshav Modiin. As she explored her Jewish identity, she simultaneously began to explore the Jewish identities of others as well. Highlights have included: teaching and serving as a liaison to NACOEJ in the remaining Jewish community in Northern Ethiopia, coordinating Shavuot workshops for high schoolers of the Abayudaya Jewish Community in Uganda, conducting field work for a thesis about a ‘lost’ Jewish community in Ghana, West Africa, visiting Israeli prisoners in jail in Cambodia, researching the lives of Jewish soldiers during the Vietnam War in Vietnam, lighting over-sized Chanukiot with descendants of Holocaust survivors in Nicaragua, Central America, and travelling across South Africa by motorcycle to experience its wide and stunning array of Jewish communities. Over the course of the last decade she also spent time in 30 countries worldwide volunteering, learning ethnomusicology, recording music albums, studying Torah & Chassidut, singing as a Chazzanit, and storytelling. 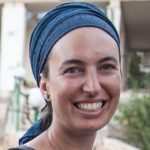 Nili made aliya, lives and learns in the Rova, Jerusalem and has a private practice as a Narrative Therapist. Reb Keith B’Simcha Reb Keith is a passionate teacher who loves to bring the Torah he teaches alive! He has been working in Chinuch teaching topics ranging from Gemara and Halacha to Chassidut and Tfillah Meditations, but wherever he is teaching, it will be fun! R’ Keith lives in the Old City of Jerusalem with his wife Nili, where they often host groups looking for Shabbat Inspiration. Reb Keith also works as a Rebbi at Yeshivat Orayta, heading up their Night Seder and Halacha Seder Programs. He is also a trained life coach whose focus is to help his students reach their full potential, and live a life of true simcha! 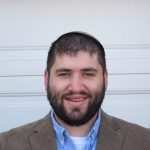 Rabbi Marc Campus Rabbi and Head of the Selah Jewish Enrichment Track has been with Aardvark since 2011. 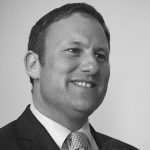 Originally from Manchester, England, Rabbi Marc has 20 years’ experience working in Jewish and Zionist education. He grew up in Bnei Akiva and went on to serve as the UK’s National Director. After spending two gap years in Israel studying in Yeshivat HaKibutz Hadati at Ein Tzurim, Rabbi Marc received a B.A. in languages and an M.A. in Education and Psychology from the University of London. Rabbi Marc made Aliya in 2007 and worked as an informal educator, teacher and tour guide for a number of international gap year programs, schools and institutions. He has served as educational consultant to Tribe, the Youth department of the United Synagogue in London and lectured in Jewish Education at Tel Aviv University. Rabbi Marc received his Semicha (Rabbinic Ordination) from Rabbi Shlomo Riskin of Efrat after five years studying at Beit Morasha and Yeshivat Torah BeTzion. Rabbi Marc lives in Jerusalem, opposite the Aardvark campus, with his wife and four lovely children who have an open home for all Aardvark students. Rabbi Marc is there to help students with any of their religious or spiritual needs. Avigail Wiseglass grew up in Jerusalem’s Old City, surrounded by Jewish history. After two years of National Service she studied at Nishmat, a pioneering women’s Beit Midrash, whilst completing a degree in Education at the David Yellin Teachers College. She later joined the Matan Beit Midrash Tanach programme and completed an MA in Jewish Education at the Hebrew University. 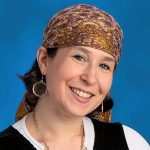 Avigail has taught Tanach in high schools, and at the Midreshet Devorah Seminary for four years. Wanting to also work from home in order to stay with her young children, she started a business three years ago as a babywear consultant. Avigail lives in the Katamonim neigborhood of Jerusalem with her husband Aryeh and three children, Yair, Yehuda and Ayala. 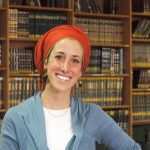 Dr. Miriam Feldmann Kaye is a Post-doctoral Lecturer at the Hebrew University in the Departments of Jewish Thought and Comparative Religion. 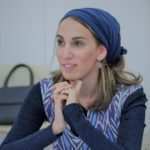 She holds a BA in Theology (University of Cambridge), an MA from the University of London, and a PhD in Jewish philosophy from the University of Haifa. Dr. Feldmann Kaye has been an invited lecturer in academic settings both in Israel and internationally, notably at Yeshiva University in New York, the World Congress of Jewish Studies and University College London. Dr. Feldmann Kaye’s book ‘Jewish Theology in a Postmodern Age’, will be published by Littman Library of Jewish Civilization in 2018. Rabbi Gideon Sylvester is the United Synagogue’s Israel Rabbi working with British Jews studying in Israel. Prior to that he has worked as an adviser at the office of the Prime Minister of Israel and taught Jewish attitudes to Human Rights at a Beit Midrash for Israeli students and trainee rabbis at the Hebrew University of Jerusalem. Before making Aliya he was Rabbi or Radlett United Synagogue, Britain’s fastest growing Modern Orthodox synagogue. 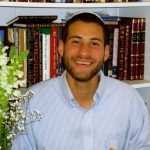 Rabbi Gideon is currently studying towards his doctorate at Bar Ilan university and contributes columns to a variety of publications including the Jerusalem Post, Haaretz and the JC. 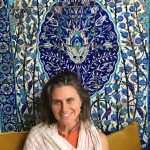 Rabba Dr Melanie Landau delights in supporting people to connect through heart and body to Source and magnificent lifeforce energy. She works in conflict transformation as Director of Leadership Programs with Encounter, and is the founder of Yeshivat Kol Isha, a post-denominational women’s yeshiva addressing embodiment and sexuality.